The design of a passport can say a lot about the country it represents. The coats of arms often gold gilded on the cover, the colors used, or even the decoration of the visa pages are all windows into the culture of a nation. But the covers of world’s passports contain a lot of information that are not necessarily easily understood. Here are the unusual details we noticed on several passports from around the world and the explanations behind these quirks. 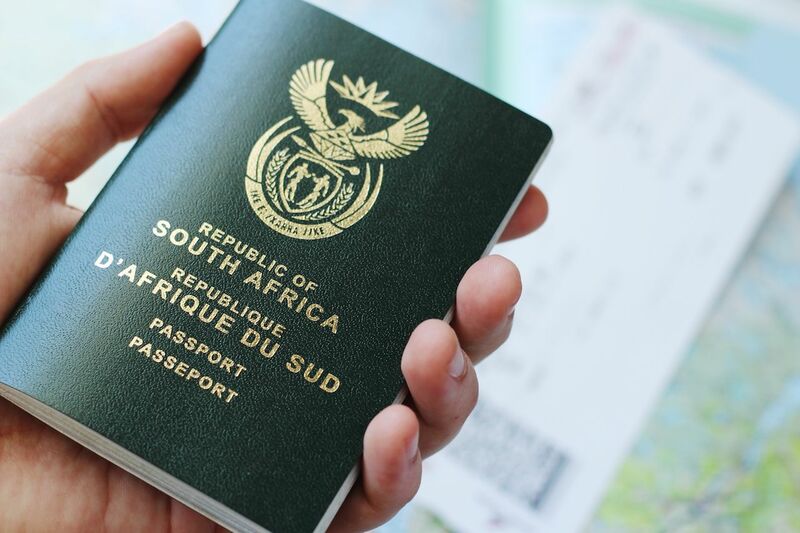 If you take a closer look at the South African passport, you’ll note the use of the French language on the front cover (“Republique d’Afrique du Sud” and “Passeport”). Although it is common for nations around the world to have their official language(s), as well as the English language, featured on the cover, French is not one of the eleven official languages of South Africa. Neither is South Africa, unlike many African countries, a former French colony. The reason behind this occurrence is a 1920 meeting of the League of Nations. During the Paris Conference on Passports & Customs Formalities and Through Tickets, the size, shape, validity, etc. of each passport were determined for every country in the world. It was also decided that each passport was to be in French, as well as one other language, explains Quartz. So, check out your passport carefully and if it contains some French (inside or outside), it means it’s still following the 1920 mandate, just like South Africa does. 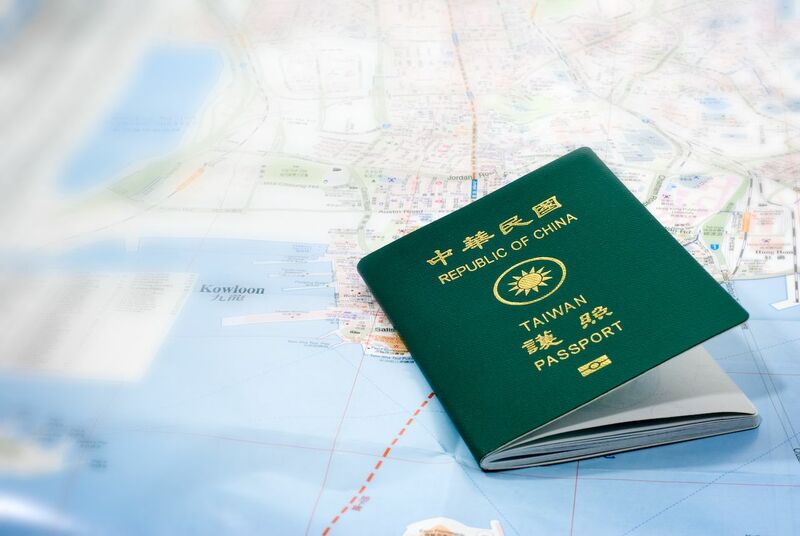 While Hong Kong and Macau are both bearing the mention “Special administrative region – People’s Republic of China”, the Taiwanese passport only gets “Republic of China” on its front cover. The distinction between “People’s Republic of China” and “Republic of China” is quite confusing for those who do not know the details of the division between China and Taiwan. Although, at first glance, one may be tempted to think that “People’s Republic of China” and “Republic of China” are one and the same, they are not. “People’s Republic of China” is China, AKA Mainland China, while “Republic of China” (also called R.O.C) is another name for Taiwan. Note that the Taiwanese who have no desire to be part of China reject the moniker “Republic of China” and only refer to their nation as Taiwan. Some Taiwanese advocating their nation’s independence have even gone as far as covering the mention of “Republic of China” and the gold sun (a symbol of the R.O.C) on their passport with “Republic of Taiwan” stickers and depiction of Taiwanese landmarks. Although China considers Taiwan as one of its provinces (one that is rather mutinous), Taiwan thinks of itself as a sovereign state with its own constitution and its own democratically-elected government. As reported by the Taipei Times in May 2016, 66.4 percent of Taiwanese are opposed to the reunification of Taiwan with China, 18.5 percent are in favor, and 15.1 percent remain noncommittal. CARICOM, AKA Caribbean Community is a group of twenty countries (fifteen member states and five associate members), most of which are island states located in the Caribbeans. The Caribbean Community logo is two capital C’s interlocked. “The two C’s are in the form of broken links in a chain, symbolising both unity and the break with our colonial past”, explains the CARICOM website. Twelve of the fifteen members states of the Caribbean Community have a CARICOM passport (only The Bahamas, Haiti, and Montserrat don’t). 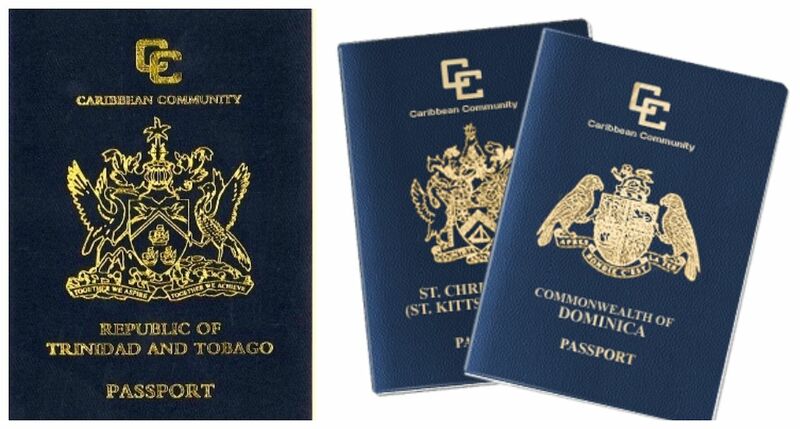 All CARICOM passports are blue and have the Caribbean Community logo gold gilded at the top of its front cover. All the CARICOM passports also feature the coats of arms of their nations in gold on the front cover. The first CARICOM passport was issued on January 7th, 2005. CARICOM is not the only organization of countries to have its names displayed on passports; it is also the case for countries belonging to the European Union, ECOWAS (the Economic Community of West African States), and Mercosur (the South American trade bloc including Argentina, Brazil, Paraguay, and Uruguay). Guatemala, El Salvador, Honduras and Nicaragua have awfully-similar looking passports. The four Central American countries signed the 2006 Central America-4 Border Control Agreement that allows their citizens to travel freely (no visa, no checks at border crossings) in the other three countries (just like the Schengen Zone in Europe). Foreign nationals who arrive in one of the four countries can also travel freely in the other three if they travel by land. Note that other Central American countries, i.e. Belize, Panama, and Costa Rica, are not part of this agreement. To illustrate this union, the four countries have agreed on a similarly-designed passport. All four passports are blue, have “CENTROAMERICA” gold gilded at the top of the front cover, and show a map of Central America, with the respective country highlighted in gold. The New Zealand passport is highly recognizable among all the other world passports. First, it is black, a rare color for a passport (less than ten countries in the world have a black passport). Second, unlike most passports, the design and writing on its front cover are not colored in gold, but in silver. And finally, instead of the coat of arms being the point of focus, like on most of the world’s passport, the New Zealand passport cover has several other interesting elements. 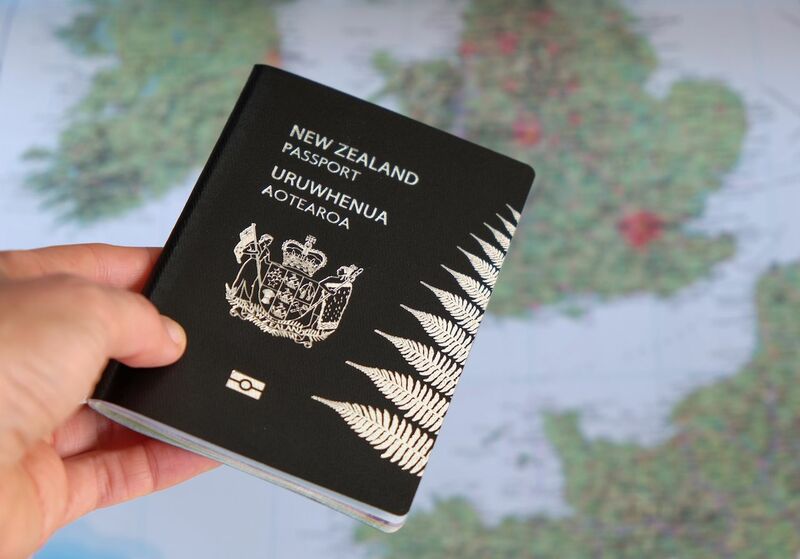 The translation of “New Zealand passport” in Māori: Uruwhenua Aotearoa is displayed on the front; a silver fern, the symbol of New Zealand and an important flora for the Māori people is climbing on the very edges of the front and back covers; and the outline of New Zealand is embossed on the back cover. Inside, both English and Māori are used throughout and each visa page is designed to the theme of navigation and travel. The goal of this new passport that came out in 2010 was to make the New Zealand passport as Kiwi was possible and the challenge’s been met. The new Maldivian e-passport was unveiled in November 2016. With its bring red color, its coconut palm-focused coat of arms, and the embossment of the country’s islands on its front cover, it’s probably one of the coolest out there. It looks sleek, modern, and it displays Thaana, the fascinating writing system of the Maldivian (Dhivehi) language. The odd thing about the new Maldivian e-passport is that it turned out to be obsolete less than one year later. In October 2017, the Maldivian government introduced the “passport card”, an ID card that also works as a driver’s license, a health card, a bank card, and an insurance card. So, if you lose your Maldivian passport card abroad, you can’t go anywhere, you can’t retrieve any money or make payments, you can’t get any medical care covered, and you have no proof of insurance. Sounds like the perfect travel nightmare. 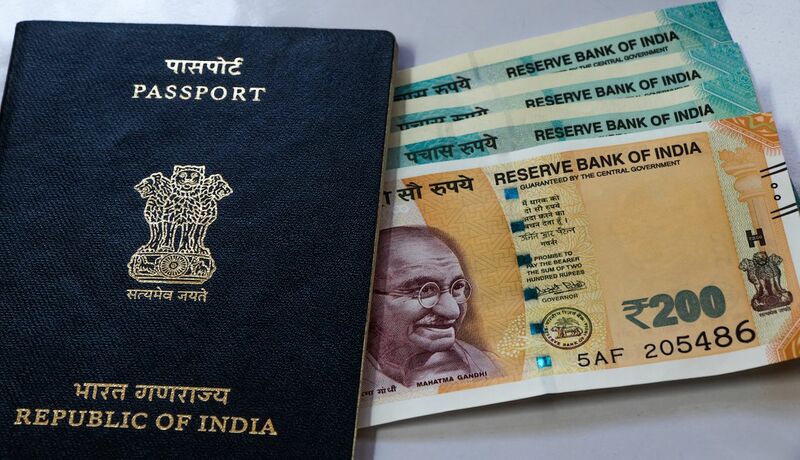 The Indian passport may look dull at first sight (it is blue, with gold gilded writing), but the country’s coat of arms displayed on the front cover deserves some attention. The Indian coat of arms (the national emblem) represents four Asiatic lions standing back to back on a decorated, round base. It is a graphic reproduction of the sculpture The Lion Capital of Ashoka that was originally placed on top of the Ashoka pillar in the village of Sarnath, a holy site of buddhism, by Emperor Ashoka around 250 BC. The sculpture, now in a museum, became the national emblem of India in 1950 when the country became independent. The image of the four lions are to be found on stamps, bills, coins, seals, etc. Because the Lion Capital of Ashoka is such an iconic symbol of India, the wheel “Ashoka Chakra“, found depicted on the base of the sculpture, is also represented on the country’s flag.